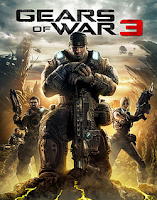 The plot for the game was written by Karen Traviss and it resolves more questions that players have been trying to figure out since the GOW1 came out, which covers the history of the universe and the stuff that are going on. The opening of the tale is set eighteen months later the collapse of Jacinto, the Cog has been scattered; the Gears have reallocated to Vectes and Sera's city were contaminated causing the associates of the Locust to change and become Lambent. In the GOW3, player has two operating modes to choose from, the Assault mode or the Stationary mode. In Assault mode you manage the characters actions in a standard way, whilst the stationary mode you play with the character locks into a position and launches Armour. The GoW3 features new armaments for example the Digger Launcher which launches explosive diggers through the earth at high paces. Other armaments include the double barreled shotgun, the Retro Lancer, incendiary grenades and the One Shot which will allow you to destroy several opponents in just one shot but is very bulky to hold. These armaments will help you to crush rivals which comprise Locust and Lambent. The new cast of Locust contain Savage Grenadier, the Digger Boomer, the Locust Siege Beast, Kantus Knightn and Locust Berserkers. The new cast of Lambent contain Polyps, Drudges, Lambent Stalks, and Lambent Berserker. The GoW3 introduces three new female playable characters for the first time, which are Byrne, Stroud and Mataki. And also comprises Griffin, person in charge of the Stranded, and Stratton who is a skilled warrior in combats, Drake and Ice T provide voices for the two characters. The game also introduces the Beast mode which is alike to the Horde mode in GoW2 but the dissimilar is that the gamers will beat up COG associates as a Locust creature. Gamers can earn token whenever they destroyed opponents which will in turn permits the gamers to advance their cast into a stronger Locust class. In terms of overall graphics, GOW3 is nothing short of jaw dropping. They are top notch, and when you pay attention to the developers you really get the feeling that these men are business people want to sell you their product and would like you to enjoy what they have produced.